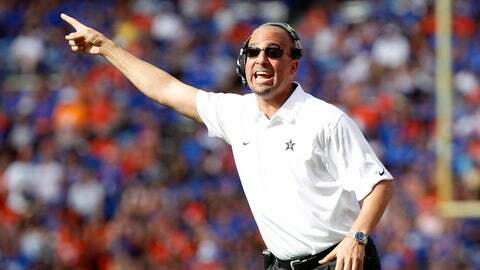 James Franklin has led the Vanderbilt Commodores to three straight bowl games for the first time in school history. If his story were a movie, critics would label it too corny to be true. A handsome, brilliant, African-American college quarterback breaks all kinds of records at his Division II school, then coaches wide receivers, tight ends and quarterbacks at universities across the nation. He spends some time in the NFL before becoming the offensive coordinator at a prominent ACC school. Along the way he earns a reputation as an inspirational recruiter, a man who preaches the virtues of character and discipline. When he’s finally hired as a head coach — after a more popular assistant turns down the job — it’s with a team so steeped in losing tradition that every opponent tries to schedule them for homecoming, a scholarly place that produces plenty of doctors and lawyers but very few winning football seasons. So, what does he do? How does the protagonist fare? 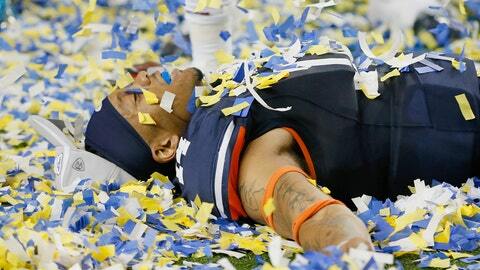 He succeeds, of course, turning a 2-10 team into bowl-bound winners in one short year. Then he continues to improve the story, leading his team to three consecutive bowl games for the first time in school history. Vanderbilt’s James Franklin is living out this script. With three winning seasons, another bowl appearance in his short-term future, and upset wins over Georgia and Florida under his belt, the only thing missing from the story is the logical ending: another job at a marquee program. Franklin is the most undervalued head coach in the college game, a man who seemingly has everything except suitors. He has an extraordinary record and a public persona that sets him apart from even his more iconic counterparts. But one of the most prestigious jobs in the country sits open in Austin, and if the Texas Longhorns’ administration is looking at Vanderbilt for their next coach, they’re doing so in relative stealth. It’s as if Franklin is a shiny jewel that everyone is walking past. He was the brunt of many rumors after Lane Kiffin was fired from USC, but if Pat Haden seriously considered Franklin it wasn’t for long. He wasn’t mentioned for the Washington job, either, even though he is very familiar with the great Northwest, having once been an assistant at Washington State. Sure, Chris Petersen and Doug Nussmeier are accomplished coaches, but neither boasts a turnaround effort on par with James Franklin’s. Some skeptics have said that Franklin won’t get a serious look from Texas because the Longhorn nation isn’t ready for an African-American coach. That line of thinking can be batted away with two simple words: Kevin Sumlin. Anyone who thinks race rises above winning when it comes to football in Texas knows nothing about the state or the game. Still, something has kept Franklin in Nashville and it’s not the money nor the stadium nor a dream of taking the Commodores to the SEC Championship. There is a ceiling to success, and Franklin may have already hit it. If administrators at Vanderbilt are serious about riding this current wave, they will do what Alabama did with Nick Saban and extend Franklin’s contract with a hearty raise — anything less and the worth of this coaching gem will eventually be realized somewhere else.